Game show hosts are energetic, fun, and full of personality. Come up with a fun costume and/or hair-do to set you apart from your contestants. ​Practice asking questions in a loud, clear voice with a big smile on your face! ​Will your questions cover multiple topics or just one? You don't even have to ask questions! You can play word games where contestants who buzz in can respond with the next part or have physical races or obstacle courses to reach the buzzer in time. Come up with what you want your contestants to do in the game. ​Follow the structure of popular games like jeopardy, or make up your own! Make sure all of the contestants know the rules before playing. 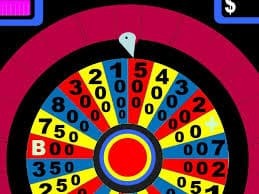 You might even use a game show creator or a powerpoint to display your show! 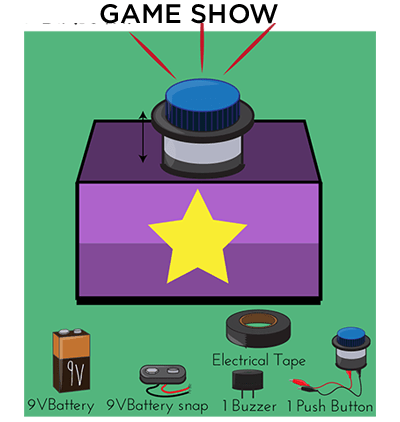 ​Gather these materials (available in the KitHub STEAM Program kits) to create your game show buzzers. ​Have fun hosting your show. Don't forget about keeping score, or do forget and just have a friendly game! Share photos from your game night in the comments or on social media!